Putting your house up for sale is never an easy job and most people find it to be quite stressful and demanding. Some homeowners are emotionally attached to their homes and selling it simply just breaks their hearts. You have probably seen those houses that have been on the market for several months and no one seems to be interested in them. This is a fate that you definitely don’t want for your home because most of the time your home is the greatest investment that you have. What mistakes do homeowners make that turn off potential buyers or lower the property value? Below are the top five mistakes to avoid when selling your home in San Antonio. When it comes to selling property there is so much involved than just listing it on some portal. Most people think they can just do it alone and avoid paying commission to estate agents. You need someone with experience to ensure your house is sold not only in the shortest time possible but also at the best possible price. A qualified professional will give you advice, provide a valuation, and ensure you correctly price your home. You should, however, ensure that you get an agent from a reputable brand. The best way to do this is by looking at reviews from different clients and asking a friend who recently sold his/her house the agency they used. An agency with positive reviews shows you that they have great experience and connections to ensure your home is sold quickly. Remember experience in the property sector is key and you should never hire a newbie. A potential buyer will always almost all the time try to negotiate a lower price. This, in turn, does not mean that you should greatly jack up the price on your end. Most sellers commit this mistake thinking that it will help cover the spread which is very wrong. The moment could be buyers walks into the house, they already have an average price range for your home in mind. When you say an extremely higher amount, they will simply walk away because you’re way outside their price range. Did you know that the longer your property stays on the market the more value it loses? The best way to determine price is by looking at the local market trends and the location of the home. It is normal to sell your house at a slightly lower price than what you expected. If you are lucky enough then you will get the exact value of your property or just slightly higher. Yes, you already made the decision to sell your home but that doesn’t mean you should immediately put it on the market. There are so many things to be done in order to get your house ready for sale. You should paint, declutter, make a few repairs, stage the home and tidy landscaping. This is a very important step that you should not skip because you only get one chance to make a first impression. For example, if you do not get rid of all the clutter, the potential buyers will find it difficult to picture themselves living in the house due to all the personal items lying everywhere. 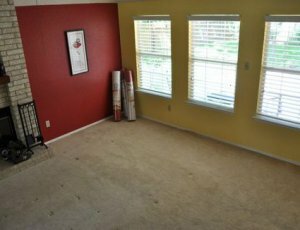 Cracked or stained carpets can be a sign of neglect and clients will be pushed away because they are not sure what else was neglected and needs repairs. Your property value will be highly affected if you do not make the necessary changes here and there. Take your time to prepare your property and invest in repairs to ensure you get the best possible price. You may want to personally supervise the sale of your home but this is never a good idea. It creates an awkward situation for you and the buyer. It almost feels to the buyers as though they are invading your personal home. Home buyers in San Antonio need to imagine themselves living in it in order to purchase it and your presence makes this very difficult. Your presence will also intimidate them from visiting and examining every inch of the house to their satisfaction. It will also be quite difficult for buyers to express their opinions and feelings about the house in your presence. 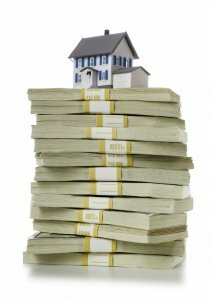 You will subsequently not be sure whether they found your property to be sufficient or inadequate and why. It is better you keep off the property and trust your agent to make the best possible sale decision on your behalf. Most of the time homeowner let the best offers just pass them by because they expect to find other offers. Remember that once you refuse an offer it may be difficult to find a better one. This does not mean that you simply accept any offer, but rather that you take your time to consider each offer. Talk it over with your agent and discuss all the possibilities at hand before you decline a reasonable offer. Take the example of our company that buys homes in San Antonio for cash at a fair price and are willing to settle within your time frame. Someone in San Antonio may go through lots of different options before realizing that the best offer was going to come from us all along. It is quite crucial that you learn to identify which are your best options and that you take them immediately they present themselves. Selling your home will not be a simple task and you should be prepared for several different scenarios. Let’s say you get lucky and sell it on the very first day. In that case, did you already find new accommodation for you and your family? Do you have your next house already in mind? In the different scenario that you take too long to sell, then did you already buy a new home and now have to pay premiums for two houses? Did you consider renting? How long are you capable of waiting? It is quite clear that you need to take a lot of things into consideration when you decide to sell your home. 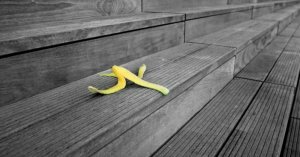 It is therefore imperative that you always have a plan B to avoid getting caught in a difficult situation. Sell your San Antonio home to us! Call us at (210) 547-7505 to get your cash offer today!